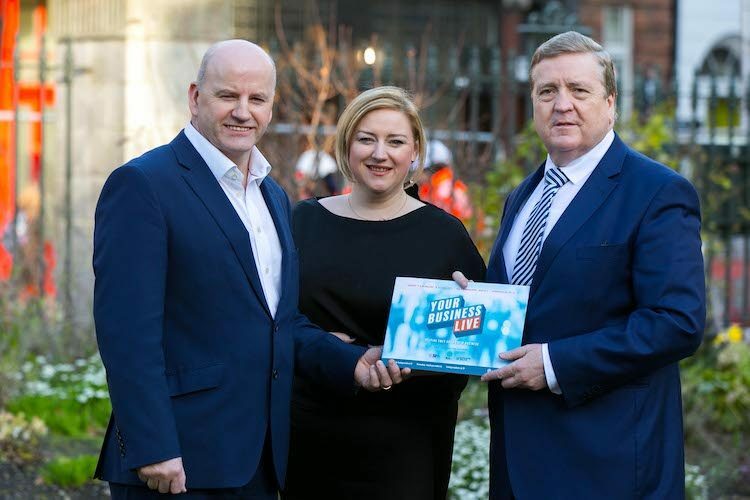 The organisers of YOUR BUSINESS LIVE have announced a change of date for Ireland’s two-day SME showcase, due to the scale of the planned event. YOUR BUSINESS LIVE which was launched earlier this year will now take place on April 10th and 11th 2018 in the RDS Simmonscourt, Dublin. Vodafone Ireland, together with Facebook, are joint title sponsors for YOUR BUSINESS LIVE while the event is supported by Ibec for Irish Business, Small Firms Association (SFA) and Enterprise Ireland. YOUR BUSINESS LIVE will combine a showcase of innovative new products and services for Ireland’s SMEs with a full programme of seminars and workshops for start-ups, SME owners and managers, business decision makers and executives. The challenge of sustained growth for SMEs is central to YOUR BUSINESS LIVE and the event focuses on four key areas: Finance, Technology, Grow Your Business, and Talent. High-level talks will be delivered by expert speakers, from entrepreneurs and business leaders to government agencies and academics. Brexit and data security are among the topics to be addressed in the context of the SME. At the Grow Your Business stage, specialists will examine and advise on: the challenges of scaling a business; growing organically; mergers and acquisitions; leadership in a time of growth; entering developing markets; managing teams in multiple locations/markets; localisation; and topics including succession planning, when to exit and how to plan for it, and IPO. At the Technology Stage, focus areas will include advances in connectivity, cloud and security solutions, selling online and using technology to support flexible working. There will also be a look at future trends for your business including automation, Artificial Intelligence (AI) and Internet of Things (IoT). Information on recruitment and talent acquisition, employee engagement and staff retention, wellness in the workplace, and leadership styles will be available to attending SME’s at the Talent Stage. The Finance Stage will cover funding; venture capital; cashflow, invoice discounting and leasing; and state supports. YOUR BUSINESS LIVE 2018 is an Independent News and Media event, please visit www.yourbusinesslive.ie for further information.